Facilities attached to the Faculty include the Institute of Ancient Art Research and the Photography Center, which support the educational and research activities of both the Faculty of Fine Arts and the Graduate School of Fine Arts. 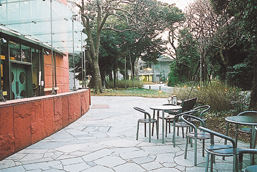 In addition, through the University Art Museum and its Toride Annex-both operated as university’s common education and research facilities-the Faculty and the Graduate School engage in various activities to strengthen ties to the community. 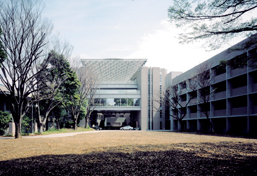 The Faculty of Fine Arts has graduated numerous world-renowned artists, playing a central role in Japanese art from the days of the University’s predecessor, the Tokyo Fine Arts School. The Faculty of Fine Arts has established the following educational objectives. 3. To provide an environment in which students can engage in independent creative activity from the social perspectives demanded by contemporary art; to make available creative facilities that reach beyond the boundaries of the university to develop creativity in interactions with society. The Faculty of Fine Arts and the Graduate School of Fine Arts regards creative research based on individual concern and free will as the foundation of research in artistic domains, and therefore the faculty members are pursuing their creative research activities, drawing on diverse and preeminent expressive skills. The Faculty and the Graduate School promote research on art theory and history or fundamental research on traditional skills, contributing to creativity and conservation, while keeping in mind the characteristics of artistic domains. The goal is the development of new artistic modes and theories while passing on the traditions and heritage accumulated to the present day and establishing new expression means for the future. Today, with strong demand for creative work that returns results to society, even individual creative activities must be fully open to the larger world. The Faculty and the Graduate School have launched various new efforts in this direction, including the public exhibition of works and joint research with local industry. They are also playing roles in creating new culture by advancing multifaceted activities, including workshops involving the participation of community residents. In the domain of art, the Faculty and the Graduate School seek to create new methods of artistic expression and research by developing, through cross-functional efforts with other fields, the potential inherent in fields such as painting, sculpture, crafts, design, and architecture and so on. To this end, we courageously pursue transdisciplinary approaches and collaboration with other fields such as natural sciences, engineering, and medicine. To develop international facilities and to advance exchange with diverse artistic cultures from around the world, the Faculty and the Graduate School have concluded exchange agreements with 27 universities and institutions from 14 countries and regions, including those in Asia and Europe. Intended to promote international exchange, these efforts include further acceptance of overseas students, student-exchange programs, and international exchange exhibitions of faculty members and students’ art works.